Eminem’s newest album fails to deliver. 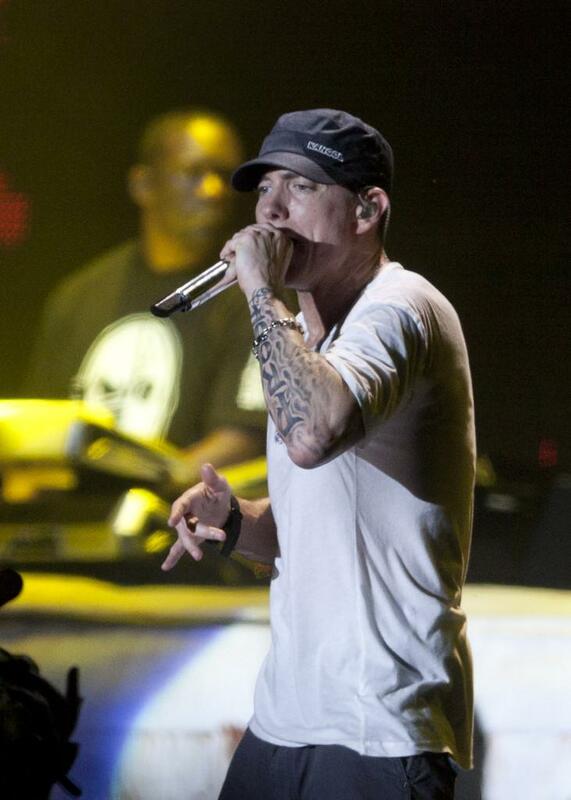 Marshall Mathers, known by his stage name Eminem, joined the rap game nearly 23 years ago. He gained notoriety for mocking celebrities and using crass language to express his opinions. Mathers demonstrated a mechanical superiority through internal rhyming and figurative apostrophe, chronicling hyperbolic, allegorical episodes that were contrived but expressive. But after 15 songs on his new album “The Marshall Mathers LP 2,” released Nov. 5, the born-in-Missouri and raised-in-Detroit rapper typifies the nature of his production. “I’m all out of Backstreet Boys to call out and attack,” he says. This summarizes the entirety of the 78-minute album. Mathers lacks material. He also seems to lack motivation, other than the satisfaction of proving everybody else wrong. However, he fails in this regard, considering how substandard the LP sounds. Mathers spends ample time describing how everybody will dislike the album, or how people consider him washed up, but the rapper is beating a dead horse. Listeners realize he is 41. They understand he’s balancing maturity and brazen disregard for the opinions of others. Yet the content of Mathers’ new album offers few fresh songs, both lyrically and sonically. But ultimately the lengthy collection of scattered tracks falls short of anything substantial. A few songs work, due mostly to Mathers’ skill as a rapper — not the production. And most of the songs do not. The spaghetti western “So Far” seems out of place; “Love Game” evokes Smash Mouth; “Groundhog Day” sounds like the anthem for a horror film. Perhaps Slim Shady wanted to prove something with this album, that despite his age he could still hit 16 bars. But all he really proves is that he’s irrelevant.